Call of Duty: World at War Release Date Announced. Those of you tired of playing COD4 will be happy to hear that Activision has announced that Call of Duty: World at War will being hitting store shelves November 11. The shooter will be released on all consoles (even the ps2) and the PC simultaneously. Also, anyone who pre-orders Call of Duty: World at War for the 360 and PC will be treated to the multiplayer beta in October. PSN DLC on PSP UMD....Oh the Acronyms. Just around the corner (2009) you can expect to be buying what was previously Playstation Network exclusive downloadable content on hard copies of UMDs for your PSP. Ok, a little bit of gamer creamage here....but I can't think of a much better portable game than flOw. You can lose hours to that game by accident. Ghastly, Spooky, Freaky, and Early? In the spirit of Halloween, EA has decided to be ever so merciful and ship out Dead Space for the Playstation 3 and Xbox 360 a full week early, October 14th! Their reason being? So it doesn't cut in on your trick-or-treating time. 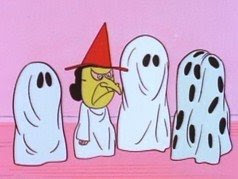 From that excuse I'm pretty sure we can all assume that EA employees treat Halloween like I did when I would go trick-or-treating, plan out the neighborhood a few weekends before hand and hit all the major houses first. Clusters of houses are best, while the rich people would fall next in line. Sometimes though, the rich people would give out a piece of laffy taffy when poor retired Mrs. Johnson just shoved a full sized Snickers bar in your pillowcase. Now thanks to Dead Space's early release you'll have plenty of sleepless nights to plan out your attack on the town. Thanks EA! PC version isn't being released till the 20th of October though, so bummer there. Get Your Halloween Treat Earlier This Year! Originally scheduled to ship on October 21st, the award-winning action/adventure game, Dead Space will ship for the Xbox 360 and PLAYSTATION 3 on October 14, 2008 giving players a full 17 days before Halloween to step out into space for the fright of their lives. The development team at EA Redwood Shores is getting into the Halloween spirit early this year so fans can celebrate with Dead Space without cutting into their trick or treat time. The Dead Space experience is all about surviving in its sci-fi world through strategic dismemberment, so experience the horror before the Necromorphs dismember you. After all, you are never truly safe in Dead Space. When an immense mining ship, the USG Ishimura, comes into contact with a mysterious alien artifact in a remote star system, its communications with Earth are mysteriously cut off. Engineer Isaac Clarke is sent to repair the Ishimura’s communications array, but he arrives to find a living nightmare—the ship is a floating bloodbath, the crew unspeakably mutilated and infected by an ancient alien scourge. Clarke’s repair mission becomes one of survival as he fights not just to save himself, but to return the artifact to the planet … at any cost. The PC version of the game will be shipping on October 20, 2008. 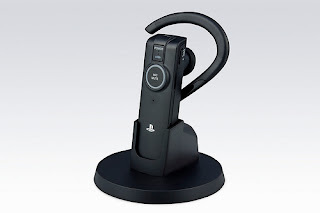 Yesterday the Playstation blog revealed some details about the new PS3 Bluetooth headset coming to stores this fall. The headset will be bundled with SOCOM: Confrontation and sold as a standalone peripheral at $50. * "High-Quality" mode with use on PS3, offering noise cancellation and a better chat quality on the console. * The quality of the headset will allegedly allow for more accurate commands of AI-controlled squad mates in Confrontation. 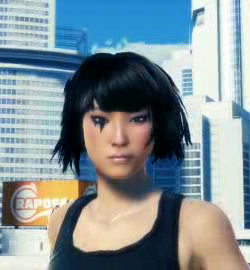 There will also be "voice animation" where the player's avatar will "mimic" them during voice chat. * There will be an in-game status indicator exclusive to the headset. It will display connection status, battery charge, speaker volume and mute status. * Cradling the set back on the dock will turn it into a "desktop microphone" while charging. As if you didn't expect it to happen sooner, spore has been cracked by a group called "RELOADED" and is now being downloaded by pirates all over the interblag. Apparently some Australian stores have been sellings copies of the game before it's scheduled release date. Seems kinda pointless to download it though, as the online most likely won't be available until after the official release date. Torrance Davis over at the Bitbag recently wrote a fairly interesting article about the way servers are hosted in online games, dedicated servers and peer-to-peer servers. He went into some research and contacted both Sony and Microsoft about how most games are run, and found out that it all depends on the developers if a server is going to be dedicated. The costs are just too high for some companies, while big business freaks like EA have no problem covering the bill. He does make a few brief, but good points. Don't judge a game based on how it's server happens to be run, judge a game based on how it plays. That's what I've always said, and Torrence said it just as well as I could have. Go read about the servers now. Game on. Ever dream of running through a war zone wearing nothing but a kilt? Well Battlefield Heroes might just be the game to fulfill those weird fantasies. EA has released a new trailer for Battlefield Heroes showing off the player's ability to play dress up with their character. You can view the video here, or you can just click read more to see the video right on B&W thanks to Gametrailers. September 5th, What's So Special? 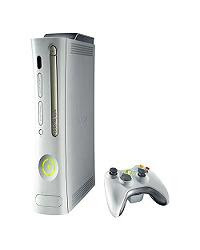 The long rumored price-cut of Microsoft's Xbox 360 is what so gosh darned special about the 5th of September! Everyone knew it was coming, and once the cut in Japan hit we all were just waiting for the officials to do their official stuff and put out that wonderful official announcement. Hit the jump to check out the prices and whatnot. If you've been procrastinating a 360 due to price, or you really want some certain 360 exclusives *cough* Too Human, Mass Effect, Halo 3, etc *cough* those are some pretty sweet prices to pay for that. Get your Microsoft points cards in hand for this upcoming Wednesday, there will be a total of 3 Xbox Live Arcade games being released Wednesday, September 3, 2008 at 9 a.m. GMT (2:00 a.m. PDT). Those games are: Shred Nebula, Pirates Vs. Ninjas Dodgeball, and last but not least Gin Rummy. Read all about them and how much they'll go for after the break. No one knows what lies in the center of the galaxy. Pilot the experimental R.I.P. Rocket through the galaxy in search of the Lost Expeditions … no ship has ever returned from the vastness of interstellar space! Will you be the first to discover the secrets of the gravitational region known as The Shred and make it home alive? Shred Nebula will be available for 800 Microsoft Points worldwide and is rated E for Everyone by the ESRB. Developed by Blazing Lizard, and published by Gamecock Media Group, Pirates vs. Ninjas Dodgeball transforms the innocent childhood game of dodgeball into a vindictive, heart-thumping battle between outlandish groups of characters including ninjas, pirates, zombies, and robots! Use a red rubber ball to tag opponents out of the game, and utilize a variety of weapons, including ninja and pirate swords, to harm enemies along the way. Pirates vs. Ninjas Dodgeball features different arenas with unique gameplay challenges, from sandy beaches and snow capped forests to a spooky graveyard. Pirates vs Ninjas Dodgeball will be available for 800 Microsoft Points worldwide and is rated E 10+ for Everyone over the age of 10 by the ESRB. Enjoy challenging variations of the classic card game Gin Rummy! Strategically select the right cards to complete sets of combinations, minimizing the risk of getting caught with a poor hand. 'Knock' out your opponent with high scores and bonus points, and video chat with players from around the world for endless hours of casual card game fun. Gin Rummy will be available for 400 Microsoft Points worldwide and is rated E Everyone over the age of 3 by the ESRB. My dear readers, I am so truly overjoyed that tears are flowing from my eyes like water over New Orleans' dikes, but the tears are destructive and by overjoyed I mean completely confused and distraught. You see, Dynasty Warriors: Gundam 2 is on the way for the Playstation 3, Playstation 2, and Xbox 360. Rather than go on and on about how much I disagree with another installment of this series, I'll just jump to the facts. Major changes in this one would be mainly the online versus play and this: "With mecha parts collected throughout the course of the game, players will be able to adapt a Mobile Suit which can be piloted into combat." Being co-published by Koei and Namco Bandai we can expect to see it sometime in 2009. You can read all about it after the break in the press release. Santa Clara, CA - September 2, 2008 - NAMCO BANDAI Games America Inc. and KOEI Corporation announced today a co-publishing agreement that will bring DYNASTY WARRIORS®: GUNDAM®2 to North America in 2009 for the Xbox 360® video game and entertainment system from Microsoft, PLAYSTATION®3 computer entertainment system, and PlayStation®2 computer entertainment system. In the future, rebel space colonies launch a brutal war of independence with a series of coordinated orbital strikes against Earth. The chaotic assault signals the dawn of a new age of combat and the ultimate instrument of warfare is born, the Mobile Suit. DYNASTY WARRIORS: GUNDAM 2 combines the devastating power of the Mobile Suit, the rich legacy of the GUNDAM universe and the furious Tactical Action game play of the DYNASTY WARRIORS series. The game will thrust players into incredible battles against legions of enemy Mobile Suits on distant planetary surfaces and in the far reaches of outer space. For the first time, DYNASTY WARRIORS: GUNDAM 2 will let players engage in melee battles against colossal enemies such as the Psycho Gundam. The massive Psycho Gundam can quickly reconfigure their bodies into titanic mobile fortresses which can move with remarkable speed. However, highly-trained pilots can utilize their own Mobile Suit’s speed, agility, and of course firepower to defeat these deadly juggernauts. DYNASTY WARRIORS: GUNDAM 2 will also include new stories featuring mecha from the latest Gundam anime, plus mecha from Char’s Counter Attack and more. With mecha parts collected throughout the course of the game, players will be able to adapt a Mobile Suit which can be piloted into combat. Developed by KOEI’s award-winning Omega Force team, DYNASTY WARRIORS: GUNDAM 2 will also include online versus play. For more information please visit www.namcobandaigames.com or www.koei.com. Molyneux gives Fable II a "9 out of 10"
Since his apology for Fable, Peter Molyneux has been understandably tight lipped about the sequel. However, with the October release approaching rapidly, Molynuex has decided to share his feelings about his studio's latest project. 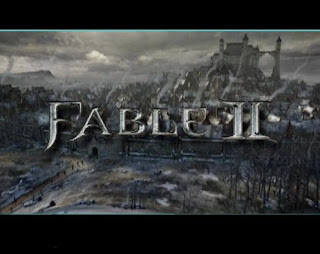 In an interview with CVG Molyneux said he gives Fable II "a 9 out of 10," when asked if he'd fulfilled his original vision with Fable II. Molyneux goes on to say Fable II is "the best, most complete game I've ever worked on." You've gotta hand it to Molyneux for not giving Fable II a perfect score. Lets just hope we all share his feelings about the game in October. Listen up Prince of Persia fans! For a limited time only Ubisoft is offering a free upgrade on pre-orders for the new Prince of Persia remake. That is, to make it more clear, you order the normal game and you get the limited edition at no extra charge! Even after all of that, Ubisoft is teaming up with the dude's from Penny Arcade to create a comic book that gives you insider info on the story of the game, and the relationship between Elika and the Prince. It's also going to be 32 pages long, 4 times the average Penny Arcade comic length. Seems like a helluva deal if you ask me. Full press release after the break. SAN FRANCISCO, CA – September 2, 2008 – Today, Ubisoft announced that gamers who pre-order the new Prince of Persia title in North America will receive a FREE upgraded Limited Edition version of the game. Additionally, Ubisoft announced a partnership with Penny Arcade for the creation of a comic book based on the new Prince of Persia title. Penny Arcade, known for creating short video game-based comics, has accepted this sizable project as a response to their readers' overwhelming excitement about Prince of Persia's fresh new artistic style. The expanded 32-page comic book will span roughly four times longer than the usual Penny Arcade comic and will allow the Prince's story to be creatively told in a robust, illustrative format. The comic book will also give readers a unique knowledge of the new Prince of Persia game as well as an enhanced understanding as to the relationship between Elika and the Prince. Prince of Persia will be available Holiday 2008 for the Xbox 360(TM) video game and entertainment system from Microsoft, the PLAYSTATION®3 computer entertainment system and PC. Also available this holiday exclusively for the Nintendo DS(TM) system, Prince of Persia: The Fallen King will complement the version coming out on consoles and PC. Set in a land rooted in ancient Persian mythology, the Prince finds himself caught in an epic battle between the primal forces of light and darkness: the God of Light, Ormazd versus his brother Ahriman, the destructive God of Darkness. The Prince arrives just in time to witness the destruction of the legendary Tree of Life – an act which threatens to plunge the entire world into eternal darkness. Manifested in the form of the Corruption, a dark substance that physically contaminates the land and the skies, the Prince must partner with Elika, a deadly companion, to heal the world from the evil Corruption. Everyone's ready to run, leap, and roll around in the upcoming parkour-esque game Mirror's Edge; but it seems that Playstation 3 owners will have some extra goodies to gain with their version of the game due to PS3 exclusive downloadable content on the Playstation Network. Nothing has been said about what the DLC will end up being, whether it be more missions, levels, guns, or whatever but we do know that yes, it will be coming. This bit of news was released by Sony when they crushed the rumor that Mirror's Edge would be getting an early PS3 timed release.